General Motors is recalling five model year 2019 Cadillac CT6 vehicles. Rotation of the steering wheel does not automatically cancel the turn-signals from flashing. 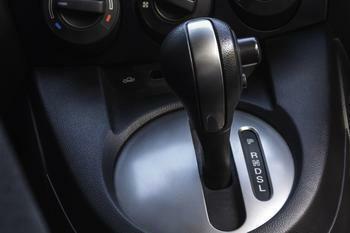 GM has notified owners, and dealers will replace the turn-signal switch. The recall began March 11, 2019. General Motors is recalling 1,340,447 model year 2004-2006 and 2008-2009 Chevrolet Malibu, 2004-2006 Malibu Maxx, 2009-2010 HHR (non-turbo), 2010 Cobalt, 2008-2009 Saturn Aura and 2004-2007 Ion, and 2005-2009 Pontiac G6. General Motors Corp. is recalling 804,000 full-size pickup trucks and sport utility vehicles because of potential problems with the anti-lock braking system. Problems with the antilock brake system are behind the GM decision to recall vehicles in 14 northern states. Corrosion in the braking system is blamed for more than 200 low-speed crashes. General Motors is recalling 210,628 model year 2018-2019 Chevrolet Equinox, Impala, Cruze, Volt & Bolt EV vehicles, GMC Terrain vehicles, Buick Lacrosse & Regal vehicles, Cadillac XTS & XTS Professional vehicles and model year 2018 Chevrolet Malibus. The rear brake caliper pistons may have an insufficient coating causing gas pockets to form, potentially reducing rear brake performance. General Motors is recalling 154 model year 2019 Chevrolet Silverado 1500 Crew Cabs and GMC Sierra 1500 Crew Cabs. The passenger-side front airbag module may have been damaged during assembly, possibly resulting in the airbag not inflating properly in the event of a crash, increasing the risk of injury. The recall was expected to begin on December 26, 2018. General Motors is recalling 2,905 model year 2018 Chevrolet Equinox & GMC Terrain vehicles and model year 2017-2018 GMC Acadias. The right front intermediate driveshaft may fracture and separate while the vehicles are being driven. If the front right intermediate drive shaft assembly separates while the vehicles is being driven, the vehicle will lose propulsion, increasing the risk of a crash. General Motors is recalling 4,789 model year 2016-2017 Chevrolet Silverados; 1500 and 2016 Cadillac Escalades, Cadillac Escalade ESVs, Chevrolet Suburbans, Chevrolet Tahoes, GMC Sierras, GMC Yukons and GMC Yukon XLs. The front upper control arms may have inadequate welds near the control arm bushing that may allow the control arm to separate from the bushing, compromising steering and increasing the risk of a crash. GM will notify owners, and dealers will replace the left and right front upper control arms and realign the vehicle, free of charge. Parts are not currently available. Owners will be mailed an interim notification in early May 2016 and will be mailed a second notice when remedy parts are available. Until the repairs have been made, owners are advised not to drive their vehicles. Owners may contact Chevrolet customer service at 1-800-222-1020, Cadillac customer service at 1-800-458-8006, or GMC customer service at 1-800-462-8782. GM's number for this recall is 42190. General Motors is recalling model year 2016-2017 Buick Veranos and 2016 Chevrolet Malibus whose electronic park lock lever may allow the ignition key to be removed without the transmission being in PARK. Additionally, 2013 Buick Encores, 2011 Buick Regals, 2013-2014 Buick Veranos, 2011-2016 Chevrolet Cruzes, 2010-2013 Chevrolet Equinoxs 2013-2015 Chevrolet Malibus, and 2011-2013 GMC Terrain vehicles may have been serviced with similar defective replacement electronic park lock levers. As such, these vehicles fail to comply with the requirements of Federal Motor Vehicle Safety Standard (FMVSS) number 114, "Theft Protection and Rollaway Prevention." If the key is removed without the transmission in PARK, the vehicle may roll away as occupants are exiting, increasing the risk of injury. GM will notify owners, and dealers will inspect and if necessary replace the key cylinder lock housing, free of charge. The manufacturer has not yet provided a notification schedule. Owners may contact Chevrolet customer service at 1-800-222-1020, Buiick 1-800-521-7300, and GMC 1-800-462-8782. 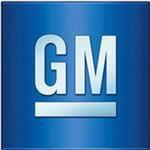 GM's numbers for this recall are 50490 and 50491. General Motors is recalling 83,572 model year 2011-2012 Cadillac Escalade, Escalade ESV, Escalade EXT, Chevrolet Avalanche, Silverado HD, Silverado LD, Suburban, Tahoe, GMC Sierra LD, Sierra HD, Yukon, and Yukon XL vehicles. The ignition lock actuator may bind, making turning the key difficult or causing the ignition to get stuck in the "Start" position. GM will notify owners, and dealers will inspect and replace the ignition lock housing, as necessary, free of charge. The manufacturer has not yet provided a notification schedule. Owners may contact GM customer service at 1-800-458-8006 (Cadillac), 1-800-222-1020 (Chevrolet), or 1-800-462-8782 (GMC). GM's number for this recall is 14696 for the original equipment, and 14912 for the service replacement parts. General Motors is recalling 184,611 model year 2005-2007 SAAB 9-7x; 2006 Chevrolet Trailblazer EXT and GMC Envoy XL; and 2006-2007 Chevrolet Trailblazer, GMC Envoy, Buick Rainier and Isuzu Ascender vehicles. General Motors is buying back about 800 cars and trucks from their owners rather than try to repair serious safety defects in the vehicles. While not many cars and trucks are involved, it is rare for an automaker to buy back a vehicle. The GM cars and trucks involved in the buyback were returned from leases and rentals, then refitted with leather aftermarket upholstery. GM discovered that the occupant sensing system that determines when the front passenger airbag should be turned on or off was engineered only for the original cloth interior. GM executives concluded that a buyback was in the best interests of the company and would be less disruptive to customers. The vehicles will be salvaged for parts. The GM vehicles included in the buyback are the 2005-06 Buick LaCrosse and Rendezvous, Chevrolet TrailBlazer and GMC Envoy; 2006 Chevrolet HHR and Malibu, Hummer H3 and Pontiac G6; 2005 Chevrolet Tahoe, GMC Sierra and Pontiac Montana; and 2004 Chevrolet Silverado. General Motors is recalling 690,685 model year 2014 Chevrolet Silverado 1500 and GMC Sierra 1500 vehicles. The vehicles may have a temporary loss of electric power steering (EPS) assist, especially during low-speed turning maneuvers.